A dream job, for sure. Do you guys believe in mermaids? Since the beginning of time, the question of mermaids' existence has been asked over and over and over again, but till this day, there's no concrete answer to that question. Sure, there have been sightings of mermaids throughout the years, but unless we see one and talk to one in real life, we will have to say that mermaids do not exist (but dragons are real, though). 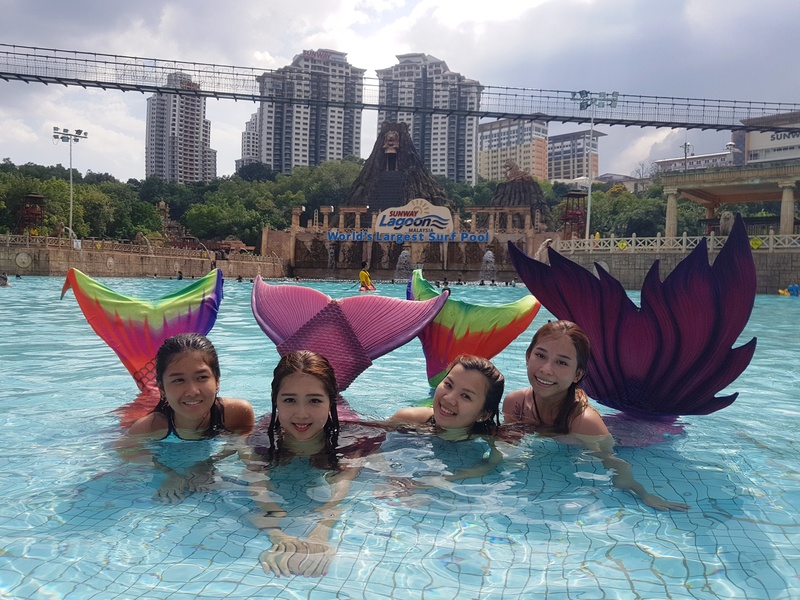 But if you (or your kids) want to see a mermaid in real life, there's one place you could go to catch a glimpse of them: everyone's favourite theme park Sunway Lagoon. 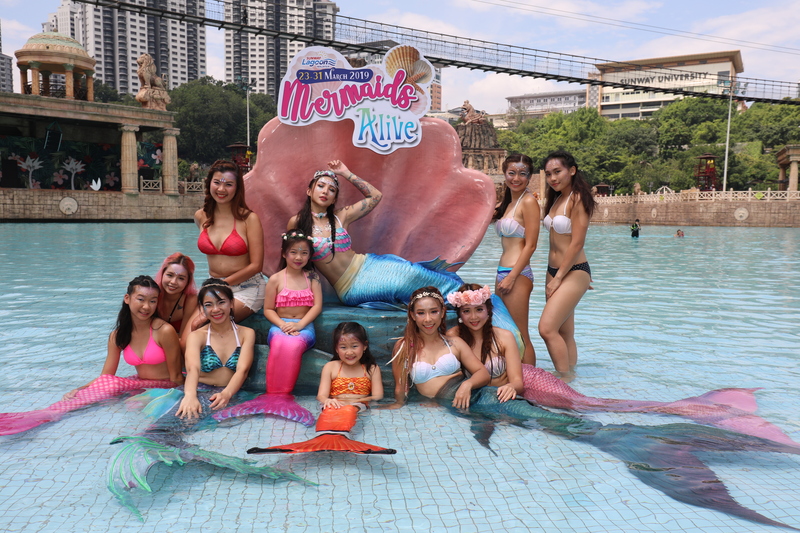 From 23 to 31 March, several mermaids will 'invade' the Sunway Lagoon Mali Cove, where thrill-seekers can meet, take pictures and even take mermaid-ing lessons with the performers themselves. Not just that, the entire area will be turned into a carnival of sorts: the little ones could have a mermaid makeover and get their hands on some exclusive mermaid-themed merchandise, pool floats, food and beverages! While we're on the topic of mermaids, have you ever wondered what it's like to become a mermaid? We did, so we've decided to talk to four lovely young ladies -- Agnes, Naomi, Ng Ser Ling and Kar Karl -- who took a mythical creature that only exists in a fairy tale (or do they?) and turn it into a full-time job. 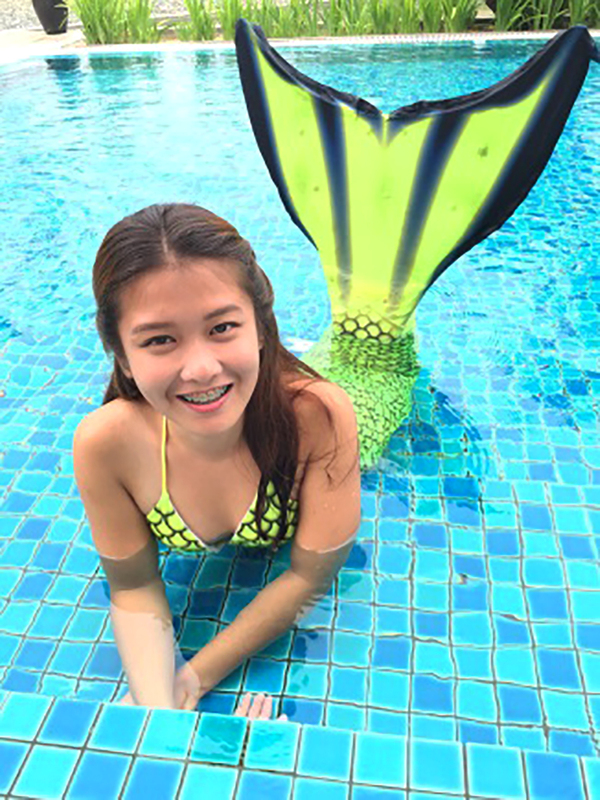 It might sound tedious -- wearing a rubber suit and sitting under the hot sun for hours -- but for Ser Ling, becoming a mermaid performer is a dream she had since she was really young. "I decided to become a mermaid as it was my dream ever since I was little. 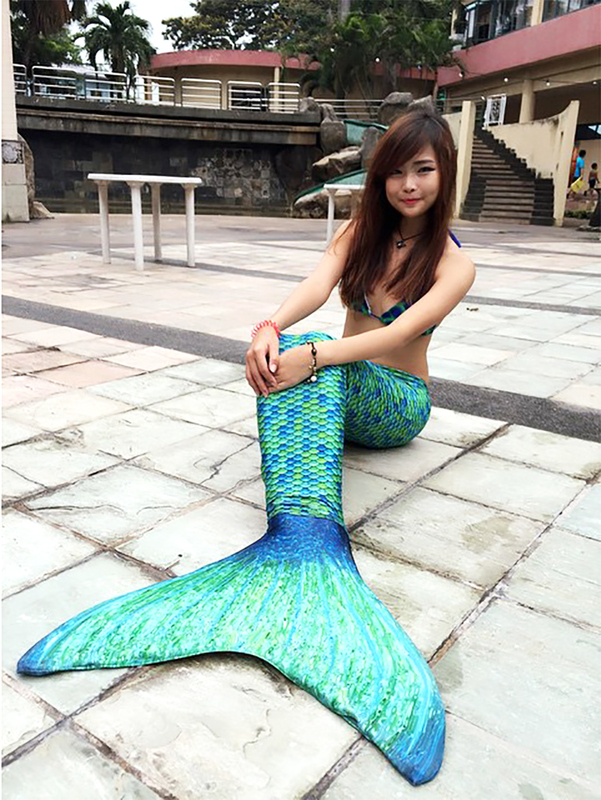 Mermaids are so beautiful," the 28-year-old quipped, adding that she's been a mermaid performer for five years now. For Kar, though, her decision to become a mermaid came after a near-drowning incident. "It’s kind of funny actually. I actually got the nickname 'mermaid' because I almost drowned when I was four. I was a curious kid, so when the teenagers went to the deep side of the pool without any floats, I wanted to see whether I could stand without floats as well. "I took my floats off and I sunk to the bottom of the deep pool. I sat at the bottom of the pool for a minute and at that time, I did not know how to swim nor control my breath underwater," the 19-year-old recounted. After that incident, as if it was a calling, Kar would later stumble upon a documentary about mermaids and right there and then, she's decided to become a real-life mermaid. That was two years ago. How hard is it to become a mermaid performer, you ask? Well, it takes a lot of hard work and dedication, Agnes would tell you. "Many people think that only girls with good body figures and pretty faces can become mermaid performers, but that is not true," the 25-year-old stressed. "I believe that everyone can chase their dreams." "While outsiders think that becoming a mermaid is easy - we just need to swim in the beautiful mermaid fins - it actually requires a great amount of stamina and experience in swimming," Naomi said. To become a great mermaid, Naomi told us that it takes hours and hours of training, on top of the extra hours you need to put in to perfect one single trick. Yeah, it's not easy. "It takes a lot of training to become a mermaid performer. As a mermaid instructor myself, I make sure to always practice as well as create new tricks for my students and other mermaid performers." 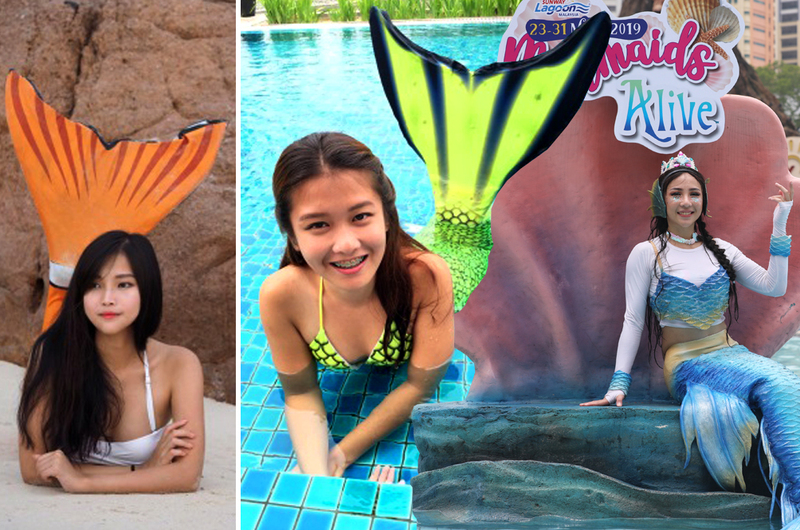 For Ser Ling, her journey to becoming a mermaid took a little bit longer compared to the other girls. "It took me one and a half years to become a professional mermaid performer. Consistent training afterwards is also crucial to keep our body in shape and to enhance the new tricks we've learned," she said. Also, there's the nerve-racking task of convincing their parents to let them become full-time mermaids. Unlike Agnes and Naomi, who told us that their family have been supportive of them since day one, Kar had to secretly take swimming and mermaid lessons (yes, it's a thing) behind her parents' backs when she first started out. "At first, my family thought it was a useless thing to do. My mom did not support the idea and I was too scared to ask my dad. So I decided to secretly head to Dolphin Lee Aquatics and joined the course," she told us. After a couple of weeks, she hinted to her mom that she's been taking mermaid lessons. "At first, she was trying to get me to stop. But after trying to convince her that it was something that I have always wanted to do, she finally accepted and allowed me to join," she laughed. The arduous training they could handle, but the one thing that the girls told us that they have to constantly deal with is the unnecessary attention they receive while they are performing. 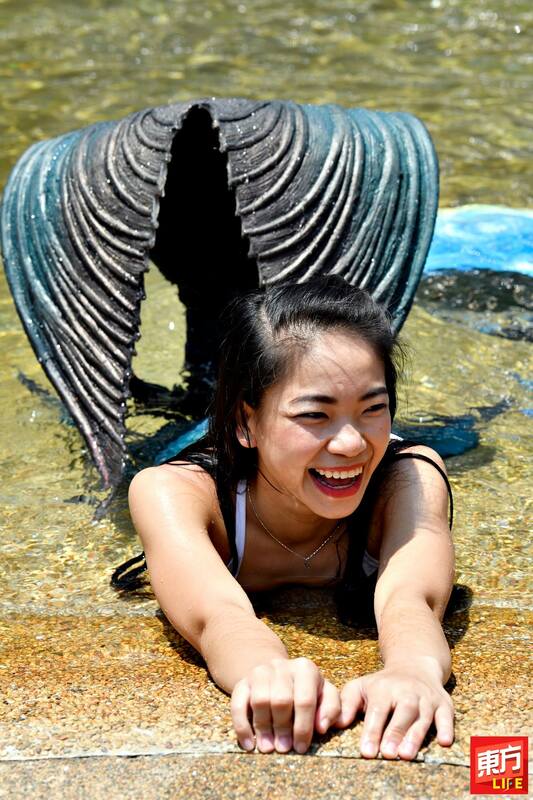 "The biggest obstacle I think we faced in the quest of becoming a mermaid performer is the amount of sexual harassment we would receive due to the way we dress," Ser Ling lamented. "We have to protect ourselves and people need to learn how to respect people, even if we are mermaid performers". Despite that, the girls still love what they do, and there's nothing more exciting for them than seeing the smile on people's faces. 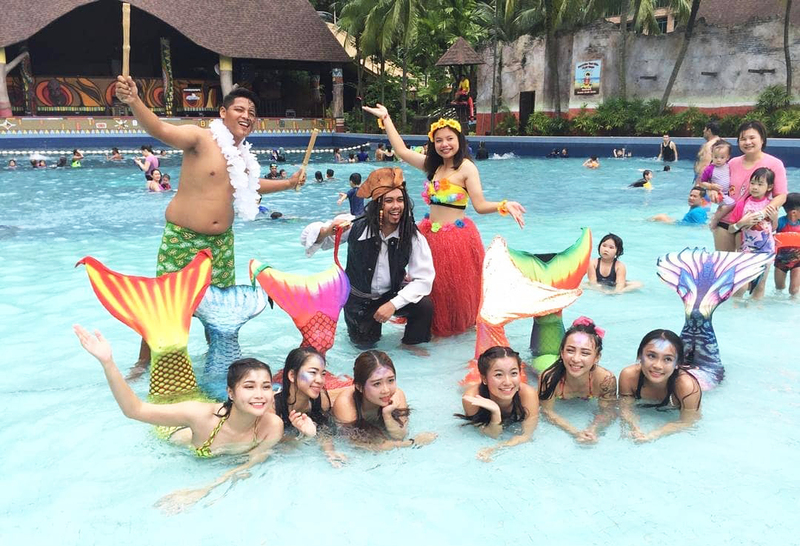 "From those smiles, I can tell that there are still kids in this world that believe mermaids exist," Kar said. Naomi, too, takes joy in knowing that the audience always get excited every time she performs: "In fact, some of the little ones actually believe that mermaids exist [after they saw our performance]!". For Agnes, the one moment that would always stay with her and make her sacrifices all worth it involves her little sister. "My younger sister actually believed that I was a real mermaid when she came to watch my performance two years ago," she recounted. "I can never forget the excitement on her face when she saw me swim. It was truly one of the most precious moments for me." 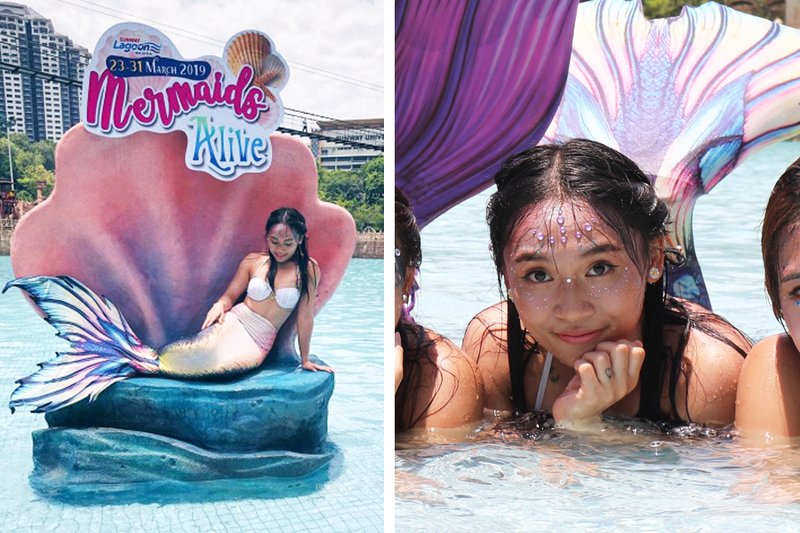 Catch Agnes, Naomi, Ng Ser Ling and Kar Karl in action at Sunway Lagoon's Mermaids Alive event from 23 to 31 March. To get your tickets, click on this link right here.